The year of magic, 2012 is now upon you all, and as promised we are pumping up the purity and amount of Logos energy being sent through the newly opened stargates. Many of these portals and what could be called ‘wormholes’ were opened up and fully functioning during the days of Atlantis, as the ascended nature of the land as well as the many ascended beings inhabiting it matched the resonation of the gates and of the Logos coming through the gates, with the purity of the energy of the collective consciousness of Atlantis and Lemuria, together. While separation was played upon between Lemuria and Atlantis, they still used the same power and energy sources – the free energy that your dear Mother Gaia offers you, that humanity hath long forgotten about. These gates which were once opened when the collective energy on your world was pure enough, could not be felt or unlocked again if the collective conciseness of Earth did not match the purity of the energy coming through the gates, or the purity of the gates themselves. This is one of the largest reasons we applaud all of you dear Light bearers who are incarnate on Gaia’s surface, in many times under the most difficult of circumstances, as your Light has been added to the mix of collective energy on Earth and since there are now so very many of you awakening on Gaia’s surface, the purity of Light being displayed on this world is reaching record levels. As such, these gates are now able to come open, with our and your help of course, because the collective Light on dear Gaia has called for it to be so. We remind you to be thankful for your Lemurian brothers in Agartha, as they have played as direct a role as any of us in helping sustain dear Gaia’s Light grid, and helped to not only open the very powerful gates of energy now coming online, but to also help filter the Logos through the gates to be sent to your surface and to your planets very core, as well as the surface and core of many of you. Your planet and your bodies are ascending at much the same rate as one another. While your dear Gaia is now existing increasingly in the fifth dimension, you too have begun to take the leap to such heavenly realms, it is only that the surface you still needs to catch up to your own ongoing ascension. Many of you are now finding your way out of quite a long, dark and at times confusing tunnel, and you are now rediscovering those parts of yourselves based in higher lands, in healthy, heavenly planes which you primarily reside in, and these are the very parts of you ascending to levels of consciousness outside of your current surface understanding. You are all receiving the benefits from these energy gates coming online, as your body and spirit complexes are absorbing increasingly pure Logos energy as a result of these gates opening. Many of these gates we have been speaking of, have been set to support a certain specific purity of Logos energy, and as such many gates were spread out along your Cosmic Calendar to fit in where they needed to, to bring the right amount of evolution to your species, according to what was needed at the time of activation. The gates of energy [that were] opened in older times on your Cosmic Calendar (such as the gates of energy bringing through slightly more pure Logs energy than had previously been available, which served to start revolutions such as the industrial revolution) were opened and sustained to support what would now be considered a more distorted, a less pure form of reality-sustaining Logos energy. The gates of energy being opened now, at the end of your final cycle of duality and especially now in the year 2012, are established to bring through and support much more pure forms of Logos energy than the gates of energy in your past. Those gates are still very much active, and are now themselves being upgraded to sustain very pure forms of Logs energy, and will be recycled to help bring in the next wave of your human advancement. This year 2012 contains numerous aligning dates, and we will use every last opportunity to bring open gates of energy that will serve to bring through such pure Logs energy, that the entire fabric of what your world knows as reality will begin to undergo a very significant shift. You are soon to know and feel fully of what we speak of. You have been waiting for numerous developments on your world to come to fruition, and many of you have looked to souls on your world who are directly involved in the affairs of bringing out the planetary abundance programs, as well as the disclosure of extraterrestrial races existing outside of your world. What many do not realize, is that while at times matters seem by you to be at a standstill, the souls at the highest levels of bringing these Earth changes about know very well of the aligning dates, every last one of them, in which the former energy gates of Atlantis will once again be brought online, serving to bring through even more pure forms of Source energy that will override the dark energies that serve to bring matters to a standstill. The souls at the top of the humanitarian projects know very well of the dates this year that will bring them the purity of energy they need manifested to tilt events even more in favor of the Light than they already have been. Accomplishing the manifestation of this pure Logs energy on the Earth plane, is for the most part the job of you on Earth. Every single one of you who are reading this, who were lead to this message and our energy, were lead here by higher intuitional parts of yourselves, because you are being nudged to find out that you are the keepers of the purest Logos energy to be sent to and manifested on your world. 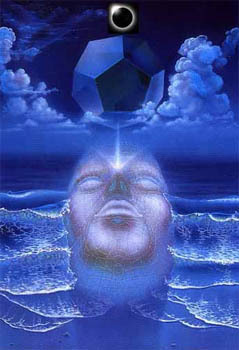 You hold the key to unlocking the full potential of these earthly gates of energy. Without you who are incarnate on Earth right now, we would not be able to use many of these gates or even bring them online. You have done so very well in making it possible for these gates to open and due to the collective Light manifested, these gates will continue to open at a rapid pace, and now it is time to take the abilities you know and feel you have, to the max. You are beginning to feel with every invocation of the Violet Flame, that the energy being sent through you is increasing every day in scope and purity. You are finding yourselves nearly lifted off of the ground anymore after a Violet Flame invocation. We say to you now, use the spiritual tools you have available, and see Living and existing in the higher realms as a career. We guide you to keep interested in meditation, in your creative works, and in anything that makes you feel good and never makes you feel bad. As you continue in your creative and spiritual pursuits, you unlock a little bit more of yourself that was previously tucked away inside of you. There are elements of [yet-to-be-opened] energy gates tucked away as well, needing to be unlocked by the many of you on Earth, as many of you hold the energies of Atlantis locked away deep inside of yourselves as the painful memories seem to be too devastating for many of you to look back upon. These gates will always be a part of Atlantis, and with your very strong collective powers of Creation, you manage to keep aspects of these gates away when you bury your deep feelings of sadness, of loss, of regret or any other lower dimensional emotion or feeling. In recent and current lives on Earth, pain from Atlantis has been relived as Life lessons, and the pain associated with such Life lessons is what is buried down, though the pain is the same pain attached to the memories of Atlantis, and so until many of you are able to embrace the part of yourself that is fearing exposure, that is fearing itself to be known for reason of embarrassment or unworthiness, that is fearing exposure to the memories of Atlantis and past Lives, then these gates will have parts of themselves forever lost away, tucked inside of many of you. The wonderful thing now is, with the support of the gates which are now bringing through more pure energy than thought possible at this point, many of you who otherwise may have kept your pain bottled up are working your way smoothly through Life lessons involving such pain that even you thought would be harder to Live through. Yes, Earth has been very difficult but due to all of the support we have given you and you have given us, matters are progressing much more smoothly than many of you wish to believe. We have been telling you of the Logos energy that is funneled from Source, to the Creators of various Universes, Galaxies, Solar Systems and any other aspects of Creation. You have heard of the process from us many times, though we wish to give a brief outline of what happens, as a foundation for further discussion on the subject. Mother/Father Source exists as pure Creation energy, at its most pure levels, levels that even many ascended beings have trouble fully comprehending. Source exists as infinite and Pure Logos energy and, since it is infinite Source is constantly, on a moment to moment basis, funneling distorted forms of itself to various areas of Creation who need such dimmed energies to survive in an artificially established reality. A basic outline would be this: Source funnels its pure energy to the Creator of, say, a Universe. The Universe will use this energy to sustain its own established reality, as well as distorting it a bit to fit in and match with the Galaxy it will be sending the Logos energy to, as the now even-more distorted energy will be continuing to establish the more artificial reality of the Galaxy it is being sent to. When using the energy to maintain its own reality, the Creator of the Galaxy that received the energy, will then distort it further to fit in with the planets of lower dimensions that the various Suns who will be receiving the energy, use it to sustain the distorted and artificial realities of the planets it is supporting. And so you see, the Creating of your reality and other realities goes on in that similar fashion. We have told this to you to display the interconnectedness of all Life around you, and of all Life that you currently do not fathom. Through the energy that is you, that manifests you and your entire reality, you have a direct connection to Source, to the Creators of your Universe and Galaxies, and to the higher realms themselves, as even though the energy is distorted to fit in with your reality, it is able to have the purity of the higher realms it comes from, unlocked. You are all this energy, and you are now with your ascension process unlocking the more pure encodements of self-energy that exist in higher realities before lending themselves to you, for you to use to Create your third dimensional reality. Though with your current perspective you do not fully know of these doings, as you unlock the purity of Source energy that truly is you, you will begin to discover that your reality, your true reality is nothing like you think it is. Our scribe has begun to notice the thoughts and feelings of other things around him. He has noticed things that he has seen for so long as ‘inanimate’ objects. He has not realized that all of Creation, down to the last bread crumb, is fully conscious and is interacting with all of the Creation around them at all times. Why do you think dear souls, that you have continually been guided to sit in silence, to meditate and to feel the Life around you? Every single aspect of your Creation is giving off frequencies, is giving off thoughts and feelings, and much of the new science concerning such matters is beginning to prove the existence of a field of consciousness that Creates and supports all Life, which all Life is entangled together through. You are linked with everything around you, dear souls. Try to connect with something you perceive to be ‘not alive’ as everything is alive dear souls. Everything around you is consciousness, and you are indirectly interacting with every last molecule and atom of Creation, no matter what form it takes. Many of you upon ascending may feel a bit silly when you realize how interconnected everything around you truly is; how everything around you communicates and gives signals to each other at all times and how you have seemed to be the only conscious entity that was totally cut off from the contact. Even the rocks, the first and second dimensional entities, are still fully conscious and are still communicating with the Creation around them. Take some time to explore the animals and nature. Notice how the wind flows through the trees, giving the leaves of the tree a nice enjoyable breeze – almost as if the peaceful event was planned by the very trees and wind involved. Once you begin to inhabit the states of consciousness that many of you now are wishing to inhabit, you will know and realize so very many things about your reality, about the connected nature of all Life, which will have you wondering just how you did not notice it before. Until our next communication dear souls, we remind you to prepare yourselves to be the vessels for pure Source energy that dear Gaia needs you to be. You have already experienced quite pure upgrades of energy through your invocation of the Violet Flame, but what you are to now experience in this year 2012 will be unlike anything, any invocation you have felt before. Prepare yourselves dear souls, for Life is not going to be the same. It is going to be better! Thank you to the Hathors of Earth’s Solar Astral Planes. This entry was posted in Article, channelings, reblog and tagged 2 January, 2012, Agartha, Atlantis, Atlantis Era, channeling, channelings, Cosmic Calendar, Disclosure, Earth, Energy Gats, gaia, Interconnection of all life, Lemuria, logos, Resposibility Lightworkers, Spiritual evolution, The Hathors of Earth's Solar Astral Planes, Wes Annac, World. Bookmark the permalink.